Bloggers are uniquely suited to become authors. Most bloggers today are actively working to build an audience of engaged followers who will want to buy their book. They don’t have to create an audience of book readers from scratch. They’ve done the hard work of finding the people who need their message, which makes the process of selling books infinitely easier. Bloggers are also used to the writing process. They consistently create new content month after month. They have the skills that it takes to write a book manuscript. And, as a bonus, they can repurpose the content that they’ve worked so hard to create and use it in the first draft of their book. 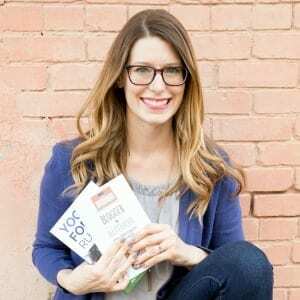 They’ve got a leg up when it comes to writing a book, and many bloggers can put together a self-published book very quickly. Today’s episode is a dive into why every blogger should consider writing a book. Even if you ultimately decide that it’s not for you, I think it’s something that you should at least ponder for a little bit. A book can do big things for your blog and for you. I’ll tell you all about them in this episode. And, I’ll tell you how you can get started on your book, too. Why do bloggers need a book and why should bloggers really strongly consider self publishing a book? Well, there are a lot of reasons. Let’s just step back for a moment then and talk about everything that a book will do for your log and just sort of do an overview. I’ve done several videos about this, so go back and watch those if you need a little bit of an extra pep term, but just as an overview, really, a book is going to do amazing things for your log. First of all, it’s going to give you a way to monetize your blog that’s not dependent on page views or somebody else. Um, in terms of like sponsored posts is a little different than that because you have something that you are actually selling. And really, let’s face it, as a blogger, you are spending so much time putting together an engaged audience that really likes you and trusts you for what you do. And so why not capitalize on that beyond recommending products or working with sponsors and why not sell something of your own? And really one of the easiest things before monitors to put together and sell is a book, particularly an eBook, but I will tell you that you really should get your book into print as well and it’s easier and faster and less expensive than you think it is going to be. Also, a book is going to. Elevate your blog, and this is particularly true if you get your book into print. There are a lot of bloggers out there who have eBooks that they sell and that’s fine, but you’re really still have elevated themselves over bloggers who don’t have eBooks. If you have that book in print, it’s going to set you apart even further. It shows that your book is actually a serious piece of work. Megan, let’s face it, eBook can mean a lot of things. People will say, Oh, sign up for my email list and I’ll give you an eBook and it’s like five pages long or 10 or something. When you get it into print, it shows that your book is actually a really comprehensive work and that it’s worth purchasing. And so there’s just that mindset shift and people see it differently when you have your book in print as opposed to an eBook. So definitely consider that. Um, but again, it is going to elevate your blog. It’s going to make people look at you differently. It’s going to make your readers look at you differently and see you as more of an authority figure even more than you were earlier. It’s also going to help brands look at you as more of an authority figure because you are a author, you’re published other, and even you can throw that up in your bio and it just helps people see you as somebody with a little more clout than somebody who is not a published author. So keep that in mind. So those are some of the big reasons why bloggers should write a book. So why should you self publish a book? Well, first and foremost, it’s going to be the fastest and easiest way to do that. And I know some of you who are watching, who might have bigger audiences might say, well yeah, I actually want to work with a traditional publisher. That’s fine. I don’t want to knock traditional publishing. I will say that traditional publishing takes a lot more time. You’re usually looking at least 18 months before your book is going to get into your reader’s hands. Usually even more than that. With a self published book, the process is much faster and so if you want to have that title of being an author sooner rather than later and you want to be able to put that on your resume and use it to leverage all sorts of the things that I’ve talked about it just a minute ago. Really you should consider self publishing because again, it’s a much faster process. You also, in just about every case, will keep more of the money you make with your book by self publishing as opposed to traditionally publishing. This will vary from publishing house to publishing house, how much you get paid, how much royalty you make, but it almost every instance you’re going to make more if your book is self published. So keep that in mind. Also, keep in mind that a lot of traditional publishers, again, this is not necessarily true of all of them, but many of them, they’re not going to do all of the marketing for you. If you want your book to be a big success, you are still going to have to do a lot of legwork and a lot of the PR yourself. So, if you want to work with a traditional publisher because you think they’re going to do all of the PR work for you, that is probably not going to be the case. And in fact that can change in the middle of the creation of a book. It could be that you know, your editor thought the book was going to be big, but then the market changes and so all of a sudden they decide to shift some of their marketing resources to indifferent book. And so it may be practically or completely up to you to get the word out about your book. And so I think that that’s, I guess just something that you should weigh out when you think about what your time is worth and really if you want to keep, again, the money that comes from self publishing your book and those higher royalties or if you’d rather work with a traditional publisher and have them give you an advance and then wait to make money until that advance is paid and then get the royalties that way. Again, totally up to you what you want to do, but I do think that you should know the pros and cons of each. And really my point here is that if you have just been dead set on traditional publishing, I think that you should really look into it more and just seriously consider whether you should self publish or traditionally published. If your answer is still traditionally published, that’s fine. That’s totally okay, but at least you are going into it and making an informed decision, which I think is the most important thing that you should do. Okay. So again, that self published book is going to do a lot for you. It’s going to be really be a big boon to your blog and it’s going to help people look at you differently, look at your blog differently, and really help elevate you within your niche and really in your readers minds as well to make you look like a true expert in your niche. The true expert that you are on top of that I always like to have mentioned that bloggers are particularly suited to write books and especially to self published books because you already have a lot of content and so I would just encourage you not to be scared to reuse that content that you’ve already spent a lot of time making and use that as part or all of your book. It’s okay to repurpose to use those blog posts is the first draft of your book. Obviously Polish them, edit them after you have created them, but it will make the process of writing a book faster and in fact, that’s why if you have content, that’s a big, big thing that I encourage in my fast other framework and it’s one of the ways that I help my clients write their books faster through the fast other framework is by repurposing that content and I think it’s going to be really, really helpful for you as you work to put your book together. Because let’s face it, we’re all busy. We don’t have hours a day to sit down and write a book, especially if you’re a blogger or business owner or you’re not just a professional writer whose job is to write your book.